Sensory information dictates our perception of the world around us-whatever world that may be to you. That world may be walking down the street feeling the sunlight on your face, holding a barbell in a gym, or sitting at a table holding a loved one’s hand. Our brain needs accurate sensory information from our environment, in order to connect. Sensory information includes the linkage of both the external environment (sensory) and internal environment (emotions). Representations of our environment can occur with both real and remembered stimuli (1). Human behavior and motor control is based upon ACCURATE sensory information (19,21,22). Vision, vestibular, and somatosensory (pain, touch, temperature, and proprioception) input provides our brain with the information it needs to make accurate motor and behavioral responses. The brain needs this afferent information in order to feel safe and know that it can protect itself against threat. You need the ability to sense and feel. Whether you're an elite powerlifter, a strength and conditioning coach, a personal trainer, or a physical therapist, you've probably been versed in the concept that proper cueing for the squat with the lower extremities is, spread the floor with the feet, and push the knees out. Perhaps you've even gotten the tid bit about screwing the floor with your feet in the direction of external rotation as well. If you've learned that these particular cues are the way to go, then you've probably also learned that knees caving in towards midline, or valgus is the devil. You've probably seen the technique involving putting a band around the knees so that you reflexively push the knees outwards (varus) against the input of the band. The rationale for squatting this way usually involves the concept that you're going to utilize more gluteal tissues since the actions of the femur will feature external rotation, via the feet screwing, and abduction with the feet spreading the floor and the knees pushing laterally. This is the accepted way to teach the squat, and seems to be agreed upon by the people who are super strong with all the in the trenches experience in the world, as well as the people who understand how to get people out of pain and how to perform prehab to prevent people from doing things like tearing their ACL in the first place. Despite all these recommendations and agreed upon findings, you'll still see elite weightlifters feature the rapid action of knees moving towards midline while squatting up massive weights that they just dove under and caught in positions that require incredible levels of mobility and stability to get into. Some of the most gifted athletes I've ever worked with who demonstrate great sports biomechanics and produce incredible amounts of force production also seem to show this action of knees going towards midline during the upward portion of heavy squatting. I'm here to say that I don't think I have any problem with highly athletic individuals who possess great joint biomechanics demonstrating knees towards midline during the upward portion of a squat. I'm also here to say that I think I have the answer as to why the strongest power lifters and strength coaches amongst us have fallen so deeply in love with the spread the floor, knees out approach. To explain my argument I'm going to walk you through concepts relating to natural femoral biomechanics, and what joint force moments have to do with this approach. I'll also give some recommendations on what to do with this thought process, and what measurements might be helpful with making objective determinations of what's optimal for people regarding squat biomechanics. During movement, the human body has to absorb forces as well as create propulsive forces. The gait cycle is the most fundamental and stereotypical movement pattern for humans. Gait is comprised of stance and swing, each featuring early, mid, and terminal phases. Absorption of forces, as well as the creation of propulsive forces, are primarily rooted in the stance phase of gait. On a very basic level we could say that early stance is the absorption dominant part of stance, terminal stance is the propulsion dominant phase of gait, and mid-stance is the transitional period. Gait and squatting are certainly not the same movement pattern, therefore generalizations between the two movements should be looked at with skepticism; however, examining gait will help with the formation of the primary reasoning piece helping us understand the biomechanical argument being presented here. While going through the gait cycle, the femur typically features alternating triads of movement. There are times during the cycle where the femur will group flexion with abduction and external rotation (mostly swing), and there are times when the femur will match extension with adduction and internal rotation (mostly stance). The first triad of flexion, abduction, and external rotation is the strategy the femur uses to prepare for force absorption and to absorb force, while the second triad of extension, adduction, and internal rotation is the strategy the femur uses to prepare for and execute propulsion. Ultimately I see the same sort of strategy used by the femur during the squat, and that is the central premise of this argument. The common link between gait and the squat in this context is that both rely on the femur and the femur ultimately has its preferred strategy for absorption of force and creation of propulsive force. The descent into the deep squat position would be the force absorption portion, and pushing back up to standing would be the propulsive component of the squat pattern. The natural tendency of the femur during the descent would be to group flexion with abduction and external rotation. Conversely, during the concentric portion of the squat pattern, the natural tendency of the femur would be to group extension with adduction and internal rotation. This would be an intelligent strategy to use as an organism from an energy conservation standpoint because the actions of flexion, abduction, and external rotation would lead to lengthening the extensors, adductors, and internal rotators, which may both maximize the length-tension relationship of those tissues, and provide a stretch reflex to assist the forthcoming concentric phase of the movement. So why do we cue knees out so hard? My first thought is that the coaches who have figured out that this helps in the ability to squat heavy weights are people who have done a significant amount of training. People with extensive resistance training backgrounds are usually fairly easy to spot. Their bodies have undergone fairly stereotypical adaptations. They've clearly undergone extensive amounts of tissue remodeling, and show demonstrable hypertrophy of skeletal muscle. Heavily resistance trained individuals also seem to move differently...you can spot them walking. These individuals seem to present with an anteriorly tilted pelvis more than the general population. To understand the essence of what kinds of bodily relationships happen with an anterior tilted pelvis, let's use a thought experiment. If you were to prop up someone who was unconscious and you were to anteriorly tilt their pelvis, that individual's femurs would passively follow the anterior tilt of the pelvis, and those femurs would orient internally and towards midline. Ultimately, if you excessively anteriorly tilted an unconscious person's pelvis, they would simply fall on their face (aka, go into prone collapse). With a conscious human being interacting with the world, things will change, particularly in regards to battling gravity and preventing prone collapse. The typical response of an individual's femurs to a pelvis that is going into anterior tilt, while standing, is that the femurs will reflexively start externally rotating and abducting to prevent prone collapse. This is the typical strategy that will be used by a heavily resistance trained individual, who has an anterior tilted pelvis, to deal with gravity and prevent prone collapse while standing. Where things get interesting is when we lay this person on a table and measure femoral ranges of motion. When the person lies down on the table, we are removing the need for them to fight prone collapse, and the femurs will stop their reflexive behavior of externally rotating and abducting. This individual's femurs will now simply exist in the passive state of adduction and internal rotation because they're simply in line with the orientation of the anteriorly tilted pelvis. When I test the person for femoral range of motion on the table, they will demonstrate reduced adduction and internal rotation...why? Because the femur is already internally rotated and adducted. The femur has less room to further internally rotate and adduct. So, when dealing with a heavily resistance trained individual who has an anteriorly tilted pelvis, what you're really dealing with is a situation where the more the pelvis anteriorly tilts, the more the femurs are internally oriented and adducted PASSIVELY, and the more the behavior of the femurs in a weight bearing situation will be one where they move by externally rotating and abducting ACTIVELY to prevent prone collapse. 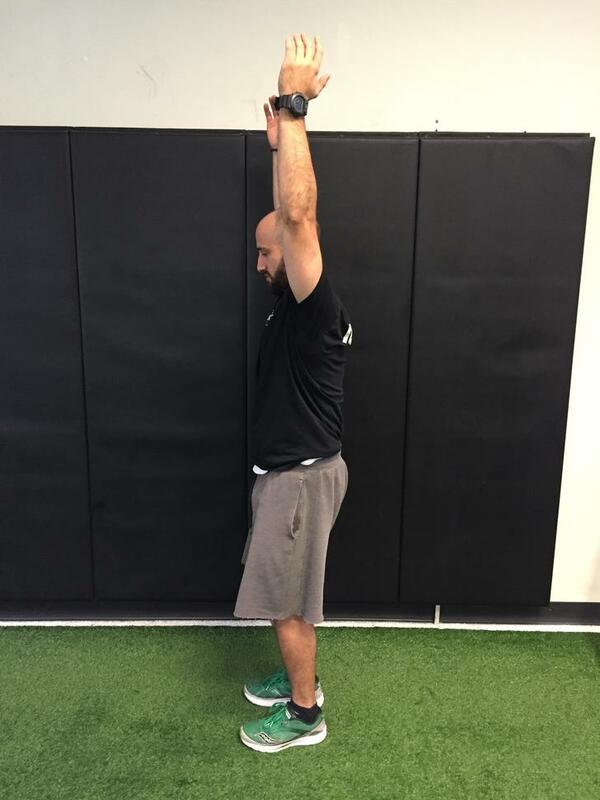 Regardless of how you slice it, the individual will demonstrate a lack of adduction and internal rotation from a testing perspective, and from a functional movement perspective. Yet this person needs to utilize the actions of adduction and internal rotation with extension of the femur to be able to create the concentric portion of a squat. How does one obtain that which they do not have? Picture the following scenario. I am standing with my weight equally on both feet. Both feet are side by side and pointed straight ahead. I see something move to my left. Without moving my feet, I rotate/orient my entire center of mass to the left to look at it. I then hear something slightly to my right, so I adjust myself to examine what made the noise. To do so, I begin rotating back to the right. Interestingly, the noise that I heard was still to the left of my starting orientation in this scenario. Despite the fact that I was rotating back to the right, my center of mass still remained rotated and oriented to the left. This example illustrates the difference between true joint actions and joint action moments. The true joint actions that took place were vertebral rotations left. When I heard the noise, I started rotating back to the right, but my vertebrae were still rotated left. I was creating the moment of right rotation, but I never got to the point where you could say I was rotated to the right...I was always rotated left. With the heavily resistance trained individual who is squatting, this person, while standing, has an anteriorly tilted pelvis, and their femurs are reflexively externally rotating and abducting. This person overall cannot reach the true joint actions of adduction and internal rotation, but what this person can do is utilize a strategy of further abducting and externally rotating, so that they can utilize the moment of adduction and internal rotation to group with extension to take advantage of the way the femur naturally creates propulsive force. How would this person do this? They would spread the floor and externally screw the floor with their feet, and push the knees out during the descent to go further into the actions of abducting, and externally rotating their femurs. To reverse the squat and come back up, the person would then begin creating the moment of extending, adducting, and internally rotating...they may never reach the true joint actions of femoral extension, adduction, and internal rotation (likely because they lack those motions), but they can still utilize the propulsive force coming from the moment of that triad to execute the concentric portion of the squat. When watching these individuals squat, you may never see the knees crashing towards midline...because they likely can't...but they're still relying on the same muscular strategy as someone who is demonstrating medial translation or true adduction in their squat. This strategy may also get confused with some sort of pathological strategy where the femur is moving medially and rotating internally, but the tibia/calcaneus/foot complex remains lateral and externally rotated, which will be discussed more in a forthcoming paragraph. When dealing with young athletes, these individuals likely haven't gone through many of the adaptations (or perhaps stress responses) that heavily resistance trained individuals have, and thus likely do not demonstrate as much anterior tilt of the pelvis. These individuals likely can get into the true joint actions of adduction and internal rotation, so when we see knees moving towards midline, we may just be seeing the manifestation of the true joint actions being driven by the muscular moment of those actions. With elite weightlifters, and other extremely athletic individuals who produce tremendous force during the squat they may also be showing the true joint actions of internal rotation and adduction, and we may be seeing people who have somehow avoided changes that drive a pelvis into anterior tilt that come along with extensive heavy resistance training. With these individuals we may be seeing the most resilient amongst us to consistent heavy resistance training/those who have survived and thrived in the selection process. The tricky parts to this concept involve the areas that revolve around injury. The mechanism of injury for the ACL is when the knee moves medially and rapidly internally rotates. The catch though is that the injury to the ACL is based on the relationship of the femur to the tibia. There has to be torque, twist, and a difference in direction between the femur and the tibia for this particular knee injury to happen. Frequently you'll see a situation where the tibia, relative to the femur is translating laterally and externally rotating at that same time as the femur is rapidly translating medially and internally rotating. If people are squatting and maintaining a flat foot with the weight evenly distributed throughout the foot, and the foot/calcaneus/tibia complex is not externally rotating during the descent, then witnessing the true actions of adduction and internal rotation of a femur is probably not cause for concern. When we do start seeing the foot/calcaneus/tibia complex start to spin out with concomitant medial translation and internal orientation of a knee, then we are probably seeing torque between the femur and the tibia, which could be threatening to ligamentous and other soft tissue structures of the knee, particularly if the force and/or velocity of those divergent joint movements is high. Fully addressing the entire scope of injury mechanics is beyond the scope of this article; however, supposing that any observable movement of the knee towards midline is threatening, dangerous, likely wearing down soft tissues, and is undesirable is perhaps a rush to judgment on something that may be benign, so long as foot, calcaneus, tibia, and femur are synchronously working together in a fairly natural and stereotypical way for the human squat pattern. To determine whether seeing a knee translate medially is acceptable or not, testing must be done. I would recommend using an Ober's test to determine if the individual has a femur that can extend and adduct. I would recommend using supine and seated femoral internal rotation to determine whether the individual possesses this joint action. I would also recommend using a Thomas test to confirm femoral extension or determine that the femur is extending through some compensatory/pathological method if it was unable to extend in the Ober's test. If the person passes all these tests, then they possess the true joint actions of extension, adduction, and internal rotation, and this person would probably be fairly safe with demonstrating medial translation of the knee during the ascent of a squat so long as weight bearing on the foot remained appropriate. If someone is lacking these true joint actions, based on test results, and demonstrates medial knee translation during the squat, it's likely that there are some aberrant joint actions that could be problematic. There are two other specific topics that should be discussed before wrapping up this article. The first is the topic of seeing medial translation during the eccentric portion of the squat. This, to me, would be indicative of someone who would be existing in the state of having an anteriorly tipped pelvis, but is not kicking their femurs into the actions of externally rotating and abducting as their anti-gravity strategy. This is probably a highly untrained person, who is probably going to be fairly unimpressive and lack most of the desirable force production capabilities you'd look for. During the descent of the squat when the femurs should be flexing, abducting, and externally rotating, the pelvis should also be using the moment involving posterior rotating (aka, pelvic inlet flexion). If the pelvis is struggling with this moment and stays in the position of excessive anterior tilt, and the individual is not utilizing compensatory actions of the femur, you'll see this incredibly unimpressive looking, melting candle, squat presentation. This is undesirable, but we should begin the coaching process by trying to get the individual to gain better pelvic control first before trying to coach the femur. This brings us to our last topic in this article, which is coaching strategy. Where I would start giving recommendations is to quote Charlie Francis in regards to advice to coaches...think twice and speak once or not at all. When you start thinking that you're smarter than the millions upon millions of years of evolution that led to a human organism standing in front of you executing patterns that are the result of protein behavior that were coded for by a genome and wired up by a nervous system that has figured out the most effective way to guide someone through the complex and multi-faceted environment that they've lived in for their entire life, you're starting to border on being someone who is either way too ego driven, or ignorant of the depth of reality, that you could be problematic. Observe people for a while. Check your opinions. Provide the feedback that the person needs, but be careful about what you say and how you say it...be cautious and humble. Then let testing guide you. Find your algorithm that takes decision-making out of your mind. Use the previous tests to determine whether the person has authentic joint actions or if they're resorting to compensatory strategies. Second, if you want to figure out what the most energy/electrically/physiologically efficient and effective squat would be, I would recommend looking at it through EMG, but I wouldn't try to see what the highest EMG would be. In fact, I would look for how I could get the lowest EMG for a squat. If I keep the load constant, and I see that one strategy uses less electrical energy, that should be the least compensatory strategy possible, and theoretically, that would be the best approach. For more on why that is the appropriate thought process regarding EMG readings, see the explanation given in this article. My concluding thought on coaching and optimal performance with the squat is that the most likely best way to perform the movement would feature performing the pattern in the mid zone of abduction and adduction, and internal and external rotation. If I want the least wear and tear over time, I would want to try to move through the middle of the pathway rather than forcing my way into the boundaries at each side. So I personally wouldn't start coaching a beginner who possesses the true joint actions of extension, adduction, and internal rotation with the cues of spread the floor, screw the floor out and push the knees out. I would cue them to find and feel the middle of their heels on the descent. I would cue them to keep their heels at the bottom and to find their big toe. To push back up, I would have them continue to find and feel their heels and big toes, and then find and feel their medial arch, and to push through the medial arch to drive back up. I would observe their femoral behavior with those cues for a while, continue to monitor joint actions through table tests, progress them with load and reps and sets over time, and not think I necessarily had the right answers. Lastly, I wouldn't treat everyone the same, and I'd be very careful about giving cookie cutter coaching cues to groups. To progress an industry or advance the overall information available to practitioners within a discipline, professionals should avoid dogmatic thoughts and behaviors. Often times, the degree to which a concept is entrenched in the collective working body of accepted beliefs can blind everyone in that field. I'm not saying that I'm absolutely correct with my assertions in this article. I may be damn well wrong, and somebody may come along and prove it to me so bad that I feel like an enormous fool. I don't think I'm wrong though. In fact, I think I'm very right on this one. It may take you a minute to see what I'm saying here, particularly with all this junk about true joint actions, and moments, and the difference between being rotated and rotating, and all the other blah blah blah. So I ask you to consider what I'm saying here in this article before you blow it off and quickly say that I don't know what I'm talking about and I'm going to get people hurt, and the sun won't come up tomorrow, and stand outside my door with torches and pitchforks, because I'm saying that knees moving towards midline may be no big deal, and perhaps is even natural and appropriate...and if you can't do it, maybe you're stuck and there's a problem. I'm not questioning a long-held assumption because I'm looking to cause a controversy or anything else like that. I like trying to see a puzzle for what it actually is. Active human anatomy is a beautiful puzzle. It can be an extremely vexing puzzle, and often times, what you think you see isn't what you get...but the logic always works if you follow it long enough with the right starting assumptions. Perhaps my starting assumptions are off, in which case this whole thing is wrong, and you can commence throwing a pie in my face. But if my starting assumptions are correct, I believe my Bayesian reasoning throughout this is strong, and you may have to come around to this way of thinking regarding what's actually going on with the squat. Anyways, here's to questioning authority, thinking for yourself, being unafraid of backlash and criticism, and trying hard in the life you've got. I'd like to thank the Postural Restoration Institute for providing the theoretical foundations for helping me think through the big ideas of this article. They teach the ideas of the differences between being rotated/oriented and rotating. They also teach the idea that if you can't express a joint action, like adduction, it's probably because you're already existing in that position, and therefore are limited in being able to get further into that position. Without the course work and learning I've done with PRI, I would not have been able to conceive of the ideas for this article. There are two communication systems in the body, one wired, the nervous system, and the other non-wired, the endocrine system. Communication systems are used to decode the meaning of the environment that the organism finds itself in, and to communicate the environmental messages to the individual cells and DNA of the organism. Hormones do not make the cells do anything differently than what the cells normally do. Instead, hormones change the rate and the magnitude of physiological expression of cellular behavior. Hormones are released from a source cell, and make their way to a target cell where they exert their effect. Some hormones are released a great distance from their target cell, others are released from a neighboring cell, while others still are released in the same cell that ultimately is the target cell. The endocrine system utilizes glands, ducts, and the circulatory system to send its messages throughout the body. To exert its effects on the body, a hormone must bind to its receptor at the target cell. Hormone receptors are located either at the plasma membrane, the nuclear envelope, or inside the nucleus. Generally, peptide hormones have membrane bound receptors, steroid hormones have nuclear envelope receptors, and thyroid hormones have nuclear receptors. For all the types of hormones, the receptors are always proteins. Protein receptors are shaped in a way that makes them optimal for a specific class of hormones. When the hormone binds to the receptor, the receptor’s charge will be effected by the presence of the new hormone molecule, and the receptor will seek to change shape to find the shape associated with the next most stable charge. This changing of shape of the receptor protein will set off an intracellular/intranuclear physiological cascade effect that will ultimately effect one of the two phases of protein synthesis, transcription or translation. Transcription is the copying of the genotype for a specific sequence of the genome, while translation is the construction of a protein from the genomic information at the ribosome. The post-translation folded protein is the ultimate phenotypic representation of the cascade effect featuring the cyclic effects of, environmental signal leading to organismal recognition, leading to secretion of a hormone, leading to migration of hormone to target cell, leading to binding of hormone to receptor, leading to intracellular messaging cascade, leading to change in the rate and/or magnitude of expression of DNA or ribosomal protein synthesis activity, leading to new proteins driving cellular behavior, leading to changes in organism behavior, leading to new interactions with the environment…and the cycle repeats again and again. Due to the complexity of having a multitude of hormones being released from various source cells and reaching target cells simultaneously for a variable message that leads to an enormous number of concurrent intracellular effects, we need a working model to make sense of any of this concept, and to have a sense of what to do with it as a topic for exercise program design. 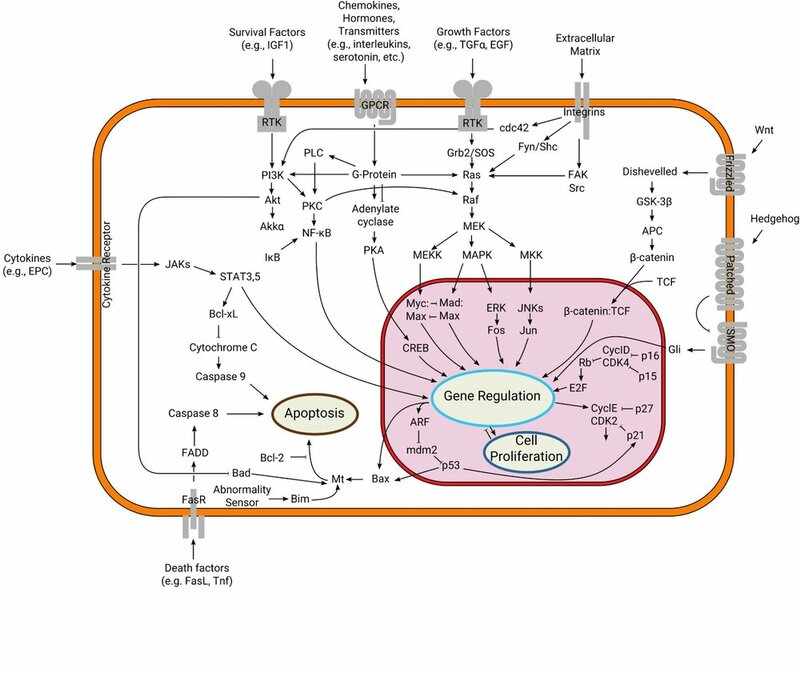 In this article, we will focus on, what makes a specific cell a target cell, and what sort of internal environment is optimal for a robust anabolic hormone response. As with all models, they simplify complex topics to the point where there are occasions of inaccuracy. So the nit-picking evidence based troll may find several problems with this particular article; however, this article will generally serve as a strong guide for what conditions are appropriate to create on specific training days in a well-crafted training program. A target cell is one that has the protein receptor for a specific kind of hormone. The attractiveness of a target cell to a circulating hormone becomes greater when the sensitivity and number of the receptors to that hormone is increased (upregulation). We are primarily interested in muscle cells in this article. Skeletal muscle cells are target cells for all of the major types of anabolic hormones. The sensitivity of receptors varies greatly depending upon the state of that particular skeletal muscle cell. Sensitivity of skeletal muscle cell hormone receptors is changed primarily by whether that cell has been recruited and fatigued. The greater the degree of recruitment and fatigue of that particular cell, the greater the upregulation of hormone receptors, and the more that cell becomes a highly attractive target cell for hormones. The next logical question is, how does one recruit and fatigue particular muscle cells. The Henneman Size Principle is the guiding phenomenon regarding recruitment of skeletal muscle cells. The Size Principle states that at the lowest levels of force production, the slowest twitch muscle cells will be recruited to perform the task, and that as force increases within the task, faster and faster twitch cells will be recruited. At the highest levels of force production, the fastest twitch muscle cells will be recruited. Fatigue of muscle cells is based on repeatedly using the same cell for a task, and ultimately witnessing a drop off in performance from that cell. The greater the drop off in performance, the greater the overall fatigue. Not all of the mechanisms of what drives performance drop off are known, but some examples include substrate depletion and accumulation of metabolic byproducts. As a general rule of thumb, we can say that slow twitch cells are easy to recruit and difficult to fatigue, while fast twitch cells are difficult to recruit and easy to fatigue. The juxtaposition of responses between slow twitch and fast twitch cells to recruitment and fatigue creates an adaptable organism, but does present challenges to the exercise program design specialist. The program designer must determine what sorts of cells are necessary for modifying as target cells, and devise training schemes that maximize the receptor sensitivity for those cells to drive adaptive changes into them. In his tour de force, Science and Practice of Strength Training, Zatsiorsky presents his fiber corridor concept. The corridor demonstrates methods that will lead to specificity of twitch type adaptations. Athletes who need to keep body weight low, and still display the highest levels of force production within their sport tend to employ training methods that systematically recruit and fatigue just the fast twitch cells. Athletes who are looking to put on as much mass as possible without caring too much for what cell type they are targeting can use methods that will recruit and fatigue slow, moderate, and fast twitch cells. If you want to target just the fast twitch fibers for adaptation, you are generally going to choose resistance training methods involving the maximum effort method (repetitions using 90% or greater of 1RM), or the dynamic effort method (sub-maximal loaded repetitions performed at the greatest velocity possible stopping well short of failure). If you want to target moderate twitch fibers, you can start using the repeated effort method (loads under 90% with sets going to failure). Finally, if you want to target slow twitch cells, you can start using approaches like the stato-dynamic method (explained in greater depth later), which is low force, but high in duration for sets. There are many more methods, particularly when opening the playbook into realms such as plyometrics, change of direction, speed and agility related drills, and conditioning, but for simplicity sake in this article we will stick to resistance training drills only. All of the methods described in the previous paragraph, perhaps with the exception of the dynamic effort method, have the ability to create dramatic hormonal responses to training through various pathways. The repeated effort method is the approach most commonly thought of for hormonal effects. Most classical research in the area of hormonal responses to exercise have focused on repeated effort method approaches, and have shown that multiple sets of approximately 10RM efforts with short rest periods seems to be the gold standard for highest possible endocrine responses to exercise. Performing 3 to 5 sets of 10RM with 60 to 90 seconds of rest between sets with compound exercises like the squat is one of the most stressful stimuli that you can impart on an organism. Such a protocol will stress every system in the human body to near maximal. As was mentioned earlier in the article, the endocrine system is a communication system. What was not mentioned earlier is that the messages that the endocrine system primarily relays have to do with the maintenance of homeostasis. Homeostasis involves a select set of variables that cannot leave an acceptable range of values or the organism will likely die. Some variables considered homeostatic include temperature, blood pH, oxygen tension, and blood glucose. A protocol like 5 sets of short rest 10RM squats will threaten all of the homeostatic variables. In response to this, the body will mobilize defense strategies that will protect homeostasis. Activation of the endocrine system is one such response the body uses to ensure that homeostasis is not lost. The primary purpose of the endocrine system is to return the body to optimal conditions that provide for the greatest safe haven wherein homeostatic variables remain unchallenged. Ultimately, with training approaches aimed at hormones, we can say that the best way to grow muscle tissue would be to recruit and fatigue the maximal number of muscle cells (now target cells), and threaten homeostatic variables to the greatest possible degree to magnify the absolute hormonal response to the highest possible level. Multiple repeated effort method sets are like a shotgun blast to the systematic steps of maximal protein synthesis. A huge number of cells within the Zatsiorsky fiber corridor are recruited and fatigued, a tidal wave of multiple organ systems stress is unfurled within the organism, and the enormous threat to a variety of homeostatic variables forces the creature’s hand to mobilize massive endocrine responses. The hormonal response to the multiple bouts of repeated effort method work described previously is a mixed bag. This protocol will cause the highest cortisol and growth hormone responses to any regular training method. Catecholamines will also be powerfully elevated due to the massive sympathetic response to this protocol. The elevation of the catecholamines seems to be related to a downstream testosterone response. The growth hormone response will trigger an increase in insulin-like growth factor (IGF) through downstream mechanisms. In short, you see all of the hormones involved with cellular remodeling all at once in massive amounts. For some athletes, this mixed bag is not optimal. Greater specificity of hormonal responses can be achieved with some of the other methods. Repeated bouts of short rest between sets maximal effort method training are very effective approaches for driving a significant testosterone response. Loads generally have to be at or above 85% of the 1RM in order to witness this testosterone response. In the past I have devised blocks that have been testosterone specific blocks. One such block featured a 3 week build-up. I would pair compound exercises, such as front squat and bench press (A day), and deadlift and incline bench press (B day). 60 seconds of rest would exist between the two exercises. Week 1 would feature 6 sets of 3 reps performed at 85% 1RM. Week 2 would feature 8 sets of 2 at 88% 1RM. Week 3 would feature 12 sets of 1 at 92% 1RM. Structuring the training week could be variable, but generally speaking, you want to get at least 3 training sessions in per week, and preferably 4. This seems aggressive, but I’ve personally done it, and witnessed many individuals perform it with extremely impressive responses. I caution participants to avoid getting fired up for sets. Remain neutral emotionally as much as possible. Such a testosterone specific block generally targets fast twitch cells. I recommend not doing more than 2 of these testosterone specific blocks in an annual training cycle. I believe that this is primarily a neural oriented testosterone specific block. In short, this is because neural cell bodies contain an abundance of androgen receptors, and testosterone exerts profound effects on neural cellular remodeling physiology. The three week build up is a good timing element. Synaptic neuroplastic changes will take place within this time period. Neural cell bodies generally take approximately one month to remodel, but a full month of this protocol borders on what I would consider dangerous, and my hope is that the hormonal surge speeds up the remodeling process at the neural cell body. The stato-dynamic effort method uses loads of approximately 50% or less, and witnesses the participant moving the load at slow velocities. 2 to 4 second eccentric and concentric motions are typically used for this method. The low load and slow tempo makes this approach target the slow twitch fibers due to the very low forces. While the force variable is low, the duration of the set should be large. Slow twitch fibers are easy to recruit, but difficult to fatigue, and the longer duration sets are ideal for setting the stage to turn these slow twitch fibers into target cells. Sets are typically performed for 40 to 60 seconds, and participants can build up to performing multiple rounds of 3 to 5 sets. Typically the rest period is kept in a 1 to 1 ratio with the work duration. The stato-dynamic effort method fits into the broader category of occlusion based training approaches. Occlusion techniques were made popular by the Japanese, Katso approach, also called Blood Flow Restricted Training (BFR). The overall findings from the various protocols that have been used in BFR approaches is that a substantial increase in growth hormone is typically seen, even when loads of approximately 30% 1RM are used. The thought behind this approach is that occlusion of venous vessels prevents the removal of metabolic byproducts from the local tissue area for an extended period of time, creating a larger than normal level of waste products and heat trapped in the blood that cannot escape until the occlusion is released. Once the occlusion is released, the blood that is loaded with waste products ultimately is circulated back to central regions, such as the heart and neck. Chemoreceptors in the carotid body and arch of the aorta register the high concentrations of metabolic byproducts in the blood, send an afferent signal to the nucleus tractus solitarius, which relays the message to the hypothalamus. The hypothalamus perceives the internal environment of the body to be one that would threaten homeostasis. The hypothalamus then begins a signaling cascade to the anterior pituitary that unleashes a potent growth hormone pulse. The stato-dynamic effort method asks the participant to never completely lock out the joints during performance of the tempo based exercise. Such an approach keeps the muscle tissue actively creating tension throughout the time period that the exercise is being performed. When muscle tissue is actively creating tension, it mechanically compresses the blood vessels that supply and drain the tissue, thus creating an occlusal effect. Eventually the set ends, and the occluded blood is sent back into circulation, leading to the mechanism of hormonal signaling described in the previous paragraph. Since only the slow twitch muscle was recruited and fatigued with this approach, only the slow twitch tissue is the target cell for the hormonal cascade. Creating appropriate training templates for athletes of various types could easily be considered an act of cellular remodeling specificity. The wise coach is the one who determines the fiber type that primarily needs to be developed, the rate at which that fiber type needs to be developed, and how much of a hormonal driver for increasing rate and magnitude of adaptations needs to be imparted on the athlete at any point in time. All of the approaches listed in this article are considered to be advanced methods. 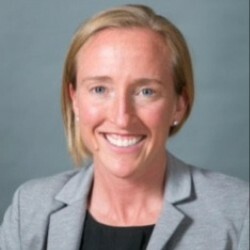 Such methods may not be necessary for young athletes; however, once athletes are reaching advanced years in college or have been involved with professional sports and intensive training for several annual cycles, these approaches need to be considered. When sport specific skill and technical and tactical knowledge have reached their highest levels in advanced athletes, those with more specific fitness for the physiological demands of the game will have an advantage over their peers. At the highest levels, differences are measured with the edge of the razor. The thought that goes into the focus of training blocks should be just as exacting. If alterations in body composition need to be accomplished, we ultimately come to the concept that the morphology of the organism is largely a hormonally driven phenomenon. Those with the knowledge of specific hormones, and the techniques to create specific target cells will be better suited to help individuals with that need. Oxidative training has made its way back around to being everyone’s darling in the fitness industry. It seems like everyone and their mother is doing cardiac capacity blocks. I’ve been hearing a lot of people use real physiology terms to explain what sorts of goals they’re working to achieve and that makes me incredibly happy. People are looking for capillary density, mitochondrial biogenesis, eccentric cardiac hypertrophy, heart rate recovery capacity through parasympathetic means, improved lactate clearance, etc etc. There are a few areas where I think our attention will be brought to going forward regarding optimal development of aerobic capabilities of the organism, and one of those things is myocardial oxygen consumption (MVO2). MVO2 is a measurement of the aerobic activity specifically at the cardiac muscle tissue. Typically we estimate what the MVO2 is by measuring the rate pressure product (RPP), and inferring that number towards MVO2 scores. Based on this, what we will really be talking about in this article is RPP, and how to go after this variable in training. The RPP is the product of the systolic blood pressure and the heart rate (RPP = SBP x HR). RPP is typically referred to as the work of the heart, but in truth it is actually a power number, because of the fact that HR is a time dependent variable. Power is mathematically represented as Force x Distance/Time. With RPP as a power variable, the force is accounted for by the systolic blood pressure, the distance is the ejection of the blood out of the ventricle into the systemic circulation, and the time is one minute (that is the unit of time that HR is measured in). Because time is considered standard, most scientists throw it out in discussion, and simply refer to the concept as a work variable. The key component that distinguishes RPP from other cardiac related variables is blood pressure. Most aerobic exercise variants that people participate in are rhythmic in nature and minimize the blood pressure response. During activities such as jogging, the autonomic response will be to constrict vessels in the gut via sympathetic output to visceral regions and to open blood vessels in the periphery through the actions of the catecholamines. By dilating peripheral vessels, this combined autonomic effect will actually reduce total peripheral resistance (TPR), and minimize the systolic blood pressure that the heart has to overcome to eject blood to the system. With minimal changes in systolic blood pressure with jogging as the activity, RPP measures will be modest. When strength training is the activity, the RPP response will be a very different one as compared to jogging. If someone is performing high load, low repetition compound exercise, the skeletal muscle will be contracting forcefully. The high levels of tension taking place in the muscle tissue will mechanically compress the blood vessels perfusing and draining the working tissues. This compression of the blood vessels will prevent blood from flowing, and ultimate create a stopcock like effect in the vasculature that reflects pressure backwards all the way to the heart. The end result of this vascular activity is an immense increase in systolic blood pressure. Typical strength training designs feature large amounts of rest between sets, and as a result, the majority of time is not spent with elevated heart rates approaching what would be associated with an aerobic conditioning training session. When examining RPP responses, jogging and strength training both have limitations for bringing the variable to its highest levels for trainability. When comparing end diastolic volume of ventricles and overall mass of hearts between different kinds of athletes, some interesting things begin to emerge. A normal untrained individual from the general population (reference person) has a heart that is slightly more than 200 grams and holds approximately 100 mL of blood at the end of diastole in the ventricle. Elite marathoners will typically possess hearts that are approximately 300 grams and hold approximately 180 mL of blood. Elite wrestlers will typically show heart measures of approximately 315 grams and be able to hold about 110 mL of blood. These examples are commonly given when discussing eccentric vs concentric cardiac hypertrophy with the runner being the eccentric example. What is often not discussed are the athletes who seem to have the best of both worlds, such as elite cyclists. Cyclists will show cardiac measures bordering on the level of the wrestler for mass and the marathoner for volume. The reason that cyclists have such high measures for both mass and volume is because their heart rates are elevated for extended periods of time and their thigh muscles are constantly pushing against relatively high resistance while peddling through terrain such as mountains, which creates high systolic blood pressure responses. In essence, the cyclist has the best case scenario heart because they are the example of consistently high RPP in training. With popular sports in North America, such as football, basketball, soccer, lacrosse, and hockey, there is reason to believe that a heart that has been trained to deal with high RPP could be a definite advantage. These sports often deal with athletes using propulsive lower body muscles at high intensities that would lead to contractile behavior that would occlude vessels and reflect significant pressure back to the heart. Football, lacrosse, and hockey in particular will also involve physical contact and elements of grappling with opponents that will elevate blood pressure due to the tensile activity of muscles under such conditions. If we fail to prepare the athlete for such conditions in training, the system will be ill prepared to deal with these demands in competition. Athletes who are unaccustomed to high RPP situations will probably demonstrate high levels of anxiety under those conditions. The most difficult physiological activity the heart has to perform is isovolumic contraction. When you put people into experiences where they are performing powerful cardiac isovolumic contractions at a high heart rate they tend to go into terrible psychological situations leading to meltdown. “When the mind is strongly excited, we might expect that it would instantly affect in a direct manner the heart; and this is universally acknowledged…when the heart is affected it reacts on the brain; and the state of the brain again reacts through the pneuma-gastric (vagus) nerve on the heart; so that under any excitement there will be much mutual action and reaction between these, the two most important organs of the body.” This is a quote from Charles Darwin in his book, “Emotions in Man and Animals”, written in 1872. Steven Porges takes this notion much further in his book, “The Polyvagal Theory” and also explains how the muscles of facial expression play their own role in HR responses and emotional experience. My contention is that sport involves components of extreme exertion that lead to high RPP values. When the work of the heart reaches incredibly high levels, the psychology of the athlete begins to go haywire, and the athlete will display facial expressions demonstrating extreme discomfort and loss of feelings of control. These are the moments where disastrous plays occur in the most important competitions. If the athlete has lots of experience with physical training in high RPP conditions, and has trained their mind to not overreact to the feelings associated with this state, they may be able to maintain their composure during contests where they enter this physiological state. There are several approaches to creating training conditions that feature high RPP settings. High intensity continuous training is a great modality for eliciting high RPP aerobic settings. Step ups with a weighted vest certainly elevate blood pressure and place the athlete into aerobic HR zones for extended times, as does high incline treadmill walking with a weight vest. The other modality that I view as a tremendous avenue into this sphere of training is circuit resistance training. My personal favorite circuit for driving high RPP levels with resistance training is the 30/30 circuit. This circuit is well known to anyone who has purchased my book, MASS, because it is Phase 1 of the overall program. The 30/30 is a brutal workout that takes exactly 31 minutes to complete. You choose 10 exercises, and you complete 3 rounds of 15 repetitions at each exercise using 30 second work and 30 second rest ratios. The goal is to complete 450 total reps with the highest combined load between all the exercises. I’m going to list out my personal favorite 10 exercise combo as well as the heaviest weights I’ve ever been able to complete all 450 reps with. I’ve also been fortunate enough to be able to track my HR during this protocol many times, and it usually averages somewhere around 145 beats per minute (BPM) for the 31 minutes, with a peak HR of about 165 BPM towards the end. The protocol will take you to some very interesting mental places, but the specific repetition goal and satisfaction of completing it at the end makes it incredibly motivating and fun compared to most other methods of training. I believe there is an incredibly dopaminergic component to this design, as many get addicted to this method of training and feel like regular training just doesn’t do it for them after this approach. This protocol seems to improve a host of variables in those who have engaged in it, including strength, muscular endurance, and aerobic performance. In my mind, the main reason is because it is training the work of the heart and improving myocardial oxygen consumption. This is probably a variable that many people have ignored and not trained, either because they were unaware of it/that it was important, or because it is an absolutely miserable variable to train. Without further ado, here is my personal best 30/30 with my favorite combination of exercises. Training with high RPP values year round is probably not ideal for most athletes, because it is a very stressful approach. Systematically placing training that drives RPP into the athlete’s system can work very successfully as a peaking approach prior to important competitions (so long as the athlete is already familiarized with this approach). This approach may also be extremely valuable for modifying body composition in athletes, where you’re looking to decrease body fat while preserving or increasing lean body mass due to the likely dramatic hormonal responses to such work. As with most programming concepts, you need to try things out, think critically about the specifics of the circumstances of the athletes that you are coaching, and do your best to individualize and customize. It is my belief most people will see dramatic improvements in fitness rapidly with high RPP training, because it is likely a novel stimulus, primarily because it is so miserable that few have willingly put themselves through it. No one can argue that those who see the most results from training have one thing in common. Consistency. Being consistent isn’t easy. Life happens; you get busy, you get bored, you get tired, and you get hurt. You take some time off, hit the refresh button, and, because your last training plan didn’t work out, it’s on to the next program. Working as a personal trainer, I end up meeting a lot of people when they’re somewhere in the middle of the list above. Whether you know it or not there are many variables in your exercise programs and your lifestyle that can either set you up for long-term success or quietly de-rail you. Identifying these variables early on will allow you to better examine a training program before you begin, and put you in a position to allow yourself to be consistent and see the results you want. Gradually increasing the volume of your training program over the course of weeks and months sounds simple, but it’s often missed by many gym goers. Using the minimal effective dose will keep you healthy and allow you to progress a program all the way to your end goal. Many soft-tissue injuries are the result of a drastic increase in training volume. Perhaps this is most obvious when you look at the number of Achilles, groin, and hamstring injuries that occur at the beginning of NFL camps, or injuries to those going from the couch to Crossfit. A program that steadily increases work capacity and tissue resiliency over time will greatly reduce your risk of injuries due to fatigue and set your body up to be able to handle workouts of greater volume and intensity later on. Look for whether or not your exercise program has a gradual increase in volume as you progress each week and month. If you’re new to the gym this may mean you start by performing only 12 total sets in week one and 20 total sets by week four. 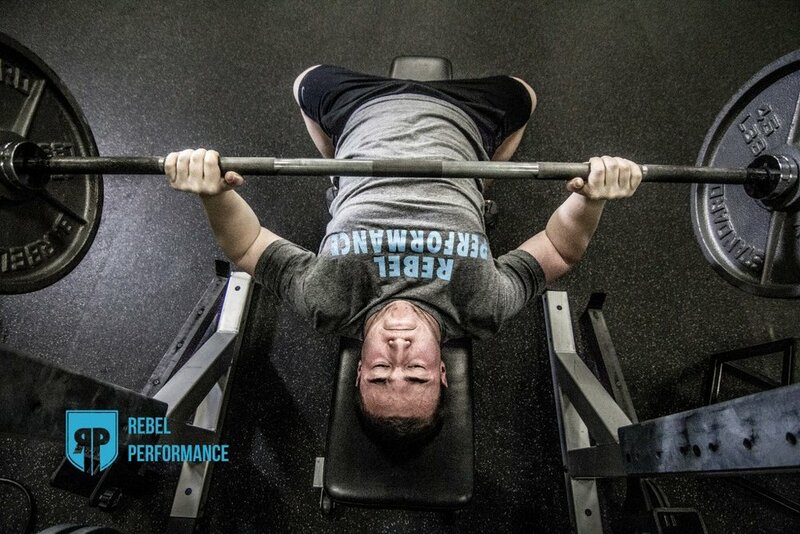 Powerlifting programs like 5/3/1 and The Juggernaut Method also do a good job of managing volume and intensity to help you build specific work capacity in the bench, squat, and deadlift. Group training should accommodate those of different fitness levels and allow some wiggle room for some to perform more work than others in any given class. Keeping your joints healthy and applying stress to the correct muscles will help to improve your durability by reducing your risk of overuse,“wear and tear” injuries, and burnout. It can be hard to objectively measure how well you move. Finding a coach or physical therapist that can assess you and create a plan that teaches you to move better is always a smart place to begin a new training program. Poor active shoulder flexion. Anterior rib flare, forward head, tight lats. Landmine variations would be a smarter exercise instead of overhead pressing. Full ROM during active shoulder flexion. Overhead pressing would be more warranted for this client. Variability in a fitness program will keep you healthy and prevent workouts from getting stale and boring. Learn how to move in all three planes and master fundamental movement patterns and the list of exercises you will be able to safely perform becomes bountiful. Throughout the course of a workout, or a week of training your program, should include some form of squatting and hinging, pushing and pulling, abdominal work, and loaded carries. Do things on two legs and one leg and with two arms and one arm. When applying external loads to movements, use different implements and choose different ways to hold them. This will allow you to alter the movement in a manner that will help you train the correct muscles in better positions. For example, let’s use a squat. You could load it with a barbell, dumbbell, kettlebell, two dumbbells, two kettlebells, a sandbag, or a medicine ball. You could do a front squat, a back squat, a goblet squat, a zercher squat, a potato sack squat, an offset kettlebell squat, or an offset sandbag squat; the list could go on and on. Knowing where you should start on the progression-regression list will help make the movement safer and more effective and varying the implements will challenge the movement in a slightly different manner and help prevent boredom in your exercise program. Varying the external load in a training program is also key to getting stronger and staying healthy while doing so. This is why many sub-max training programs that accumulate volume are so successful. Decreasing volume and increasing intensity during the course of several weeks and months is much more suitable for long term strength gains than trying to push to a new 1RM each week in the gym. Another variable that can be manipulated in an exercise program is the tempo at which the movement is performed. Being specific with the tempo of a lift is often neglected even though it has a huge influence on what adaptations are had from the exercise. If you’ve been performing goblet squats for the past few months with a 2010 tempo, they’ve become boring and easy for you. Now take the same weight and change your tempo to 3030. Add feeling grounded through both feet, pushing your heels through the floor, and focusing on keeping constant tension on your glutes, hamstrings, quads, and abs I can guarantee that your easy goblet squat has become much more challenging. Varying the tempo of lifts could result in a squat hypertrophying your slow twitch fibers or cause you to increase your rate of force production. Both are important and both are needed. Choosing the right time to apply both and using both throughout the course of a training program can make performing the same old lifts much less monotonous. Things come up in life. You have to work late. Traffic is worse than usual. And now you either can’t make it to they gym or have limited time. A great fitness program is structured, but also can be flexible. On these days it is helpful to have a few workouts that are lower intensity, take less time to complete, or can be done at home. Cardiac output and bodyweight circuits are two awesome ways to still get workouts in even when life comes up. You may be able to get away with it for a short period of time, but in the end if your recovery efforts don’t meet or exceed the efforts put forth in your training you’ll likely be battling with fatigue and injury. A good training program emphasizes the other 23 hours of your day. Knowing what you can do to help promote your parasympathetic nervous system (rest and digest) and tissue recovery is invaluable. Go through the checklist below and I’m sure you can do better in at least one and if not several of the categories. - Sleep Quality & Quantity- Do you have a good sleeping environment? Are you getting enough hours of sleep? - Nutrition- Quality & Quantity- Are you eating quality foods that promote low levels of inflammation? Are you eating enough calories to support your training? - Respiration- Are you hyper-inflated? Can you fully exhale your air to help shift yourself to a more parasympathetic state? - Tissue Quality- Do you get regular massages, acupuncture, or perform regular self-myofascial release? - Active Recovery Sessions- Do you use active recovery sessions when you’re feeling tired or sore? You’re moving well and gradually increasing how much you’re doing each workout. Your sleep is awesome, your nutrition is locked in, and you’re finally taking care of your body by prioritizing recovery. Even with all of these important physical factors in check it can still be difficult to stick with an exercise program. If this is the case you need to reflect on your mindset and training environment. Create short and long-term goals. Write them down somewhere next to why you’re training for these goals. A strong WHY, concrete GOALS, and internal MOTIVATION are powerful for sticking with exercise. Your training environment also needs to be supportive of everything above. Behind the good music, sweat, and banging of weights needs to be a community of like-minded people who can push and motivate you as you work towards your goals. I know a lot of people who have reached their goals with different training programs. There are a lot of great programs out there that work, but not everything works forever. I promise that if you use this article as guide you’ll become an informed and confident consumer. You’ll be able to sift through a lot of BS that is currently in the fitness industry and find a program that will set you up for consistency and success. 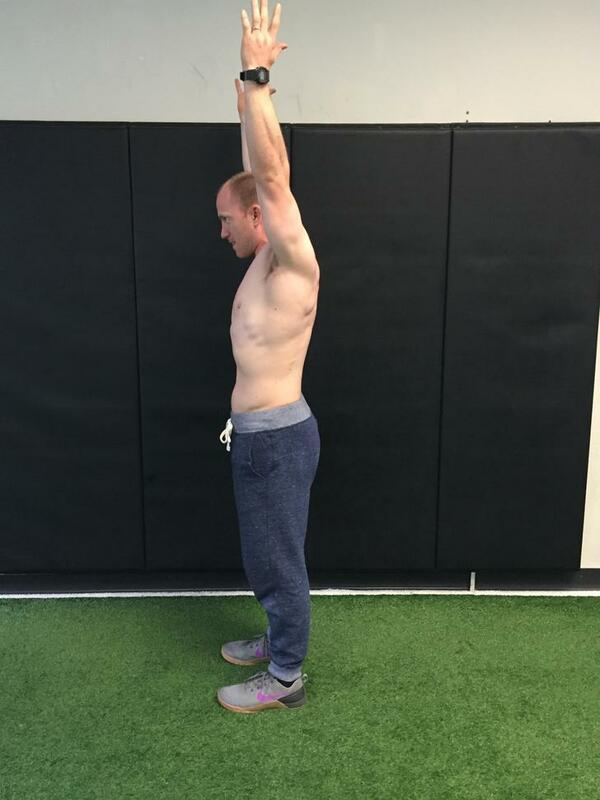 He has worked with a wide variety of performance clients ranging from middle school to professional athletes, as well as fitness clients, looking to get back into shape. Mike specializes in helping clients and athletes learn to train around injury and transition from post-rehab to performance. 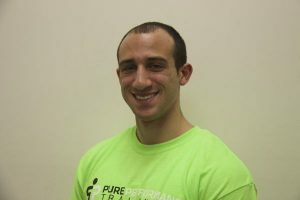 If you're interested in training with Mike, he can be found at Pure Performance Training in Needham, Massachusetts. Good programming is a balancing act worthy of a Game of Thrones episode: on one side sit the foundational movements–pushes, pulls, hinges, squats, and carries–while on the other sit the latest and greatest in cutting-edge research-velocity based training, blood flow restriction, PRI, post-activation potentiation and more. Stuck neatly in the middle is the modern-day coach, like Jon Snow caught between the white walkers and the mortal threats from the seven kingdoms. How much credence should be given to the up and coming methods? Is it really worth abandoning tried-and-true approaches? Today's article is an attempt to help answer that question, providing some guidance for just how to navigate the relatively narrow space between these two worlds. It's a strategy I've been able to use to help me be both innovative and effective, allowing me to use some of the more exciting things I've come across while not abandoning some of the staples of strength and conditioning. In fact, aside from the principles of specificity and periodization, this one idea has done more to inform my programming choices than anything else I've come across. The idea at the heart of today's conversation is borrowed from Stuart McMillan, one of the industry's preeminent sprint and speed coaches. He mentioned something he called the 70/20/10 rule in passing, and while I can't remember anything else from that article, this one has stuck with me. Put as simply as possible, 70% of his programming is made of up things he knows, 20% is comprised of things he thinks, and the remaining 10% is left to things he guesses. My first thought was to wonder where that particular breakdown had come from. I'm the first to acknowledge when someone's smarter than me, and I'll happily be deferring to Stu for years to come, but I wanted to understand the 70/20/10 on my own terms. Minimum Adaptable Load (a concept previously covered on this site) is the point at which the applied stimulus or stress is sufficient to cause an adaptation or change in the athlete. The stimulus applied can vary, from the weight on the bar and how many times its lifted on one end of the spectrum to sprint distances, times, and rest intervals on the other. Adaptation is simply the goal of that particular training cycle; hypertrophy, maximum power output, body composition or the like. Minimum Adaptable Load is important for one very basic reason: change doesn’t happen during the session; change happens when we recover from the session. The exact threshold for Minimum Adaptable Load changes from athlete to athlete, and even within athletes as their training age, their nutrition, or even their lifestyle changes and it can be tough to hit a moving target. While this presents a challenge, a good coach or trainer should be able to adjust training stressors appropriately for their athletes and clients. By devoting 70% of the session’s volume to the strategies we know to be effective, we are likely to meet the threshold needed for adaptation while not exceeding it by so much that we don’t have room for additional strategies. Consider a strength athlete; with goals of improving their ability to squat, press, pull, lift, carry, and potentially throw the greatest amount of weight possible, what would constitute their 70%? Depending on the specifics of their sport and what season they were in, my programming would likely include big, heavy compound movements loaded from 85% up to 100% of 1RM. In short, they’d spend more time squatting, carrying, pressing, pulling and lifting than they would curling, sprinting, jumping, or walking. While those movements could very well have a place in their programming, they don’t offer the greatest ROI for the athlete, and I’m reserving this 70% for my heavy artillery. Once I’ve chosen my movements and loading schemes, it’s time to consider overall volume in the context of the larger program. Again, I’m only allowing 70% of my session for these movements, so depending on total volume, I may pull a movement out, drop a set or two, or break the workload up differently to allow me to focus on what I think is most important without overtaxing the athlete. With 70% of an athlete's time and energy accounted for, it makes sense to give the bulk of the remainder to something we're confident in, but hasn't stood the test of time. Too little investment here and we're unlikely to see enough influence (or lack thereof) to inform our future programming choices, too much and there's nothing left for the real cutting-edge work. Continuing the example of our strength athlete, plyometric work (either on its own or for potential post-activation potentiation effects) are one possible choice. Since true explosive power and speed aren't are primary goals, we don't need to devote the same number of reps or contacts we might for a pure throwing or jumping athlete, but a few sets and reps or our most transferable movement patterns make sense. In this case a squat jump (loaded or unloaded, with or without counter movement), a broad jump, and maybe a hinge or rotationally-driven throw could be helpful. I look at this final piece of the puzzle as playtime... a crazy idea I had, something a single study hinted at, an intuition that an athlete might benefit from something. I'm not ready to devote much of an athlete's training or recovery to something that may be half-baked at best, but as long as I'm confident I'm not doing any harm, this gives me a chance to insert an extra little "kick". It may not work, but again, as long as it's safe, we can probably consider it GPP (General Physical Preparedness) at worst, right? Maybe strength athlete benefits from working with unstable loads, using something akin to an earthquake or bamboo bar, or possibly moving a barbell with an uneven or hanging load. The instability certainly won't hurt him in his training (provided it doesn’t detract from his primary training modalities), and has some potential carryover to his specific sport and goals, from injury prevention to improved neuromuscular communication. A few days after first running across this concept, I sat down to rework some of my own programming. Knowing I was hoping to put a little more muscle on, and feeling a little bored at the prospect of another body-part split filled with sets of 6-12, I decided to put this idea to the test. I began with the basics, as I knew they'd work, and wrote a workout that followed some solid principles; progressive overload, moderate weights and rest periods etc. In anticipation of adding to this foundation, I left the volume a little lower than I knew I could handle, allowing for the think and the guess. From there I chose two methods, one I'd seen solid research on, and one I just wanted to play with, and filled in the rest of the volume. Specifically, I chose to include some traditional explosive plyometric work (as both a Post-Activation Potentiation (PAP) element and to directly target fast-twitch fibers) as well as something called Velocity Based Training (VBT). I'd seen some interesting research on VBT using only 35% of 1RM for cluster sets of 5-6, and wanted to give it a go. I thought the plyometric work would help, and so gave it a good focus, particularly on lower body days, emphasizing either vertical (quad-dominant) or horizontal (glute and hamstring focus) patterns depending on the days movement patterns. This made up the 20%. I hoped the VBT protocols would work, but wasn't ready to let it overrun my program. I added a set or two at the beginning of days that didn't include plyometric training. If I was pressing, I'd follow VBT protocols with a machine-based press in the hope that I'd target fast-twitch fibers, spark some hypertrophy, and perhaps even see a carryover through the rest of the workout. In short, use your best judgement in choosing a method to measure volume and determine your 70/20/10 workload. For a Hypertrophy cycle (typically a volume-driven cycle) I might use sets and reps. For a power/speed athlete I might use time or RPE. Ultimately volume will likely play a role, but there's room to interpret "workload" here in a way that matches the stresses of the training cycle. If we’re going to introduce new methods into our programming, then ultimately we’d like some sense of their effectiveness; at some point in the misty past most of what we take for granted as known was merely thought or guessed. It’s tricky to separate one aspect of a program from another, and if we were to follow stricter scientific methodology, we’d likely only introduce one variable at a time for testing. Still, there are a few benchmarks I’ve looked for in deciding whether an idea had merit or not. 1) The athlete or client progressed within the specific mode being employed. If we add plyometric work to improve max strength, did the athlete jump higher or farther? 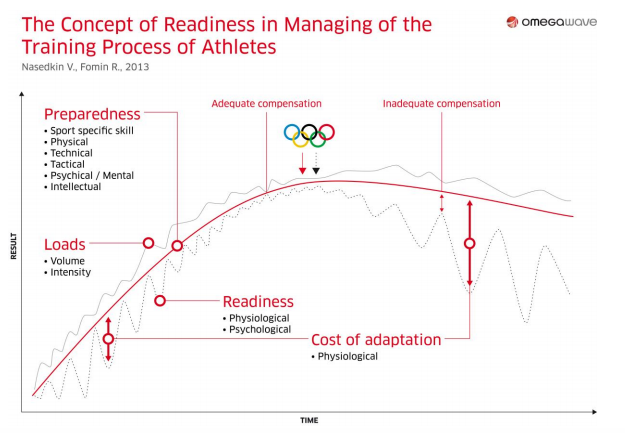 2) Assuming you have some sort of expectation for the athlete’s progress (i.e. last off-season they gained 5 pounds of lean mass in 20 weeks), did this program exceed those expectations? 3) Did the athlete and I look forward to this section of their programming? It’s a little subjective, but on some level I think we have a sense of what’s paying dividends, and in the absence of other evidence, it’s at least worth recognizing. 4) Were there any other unexpected benefits observed during the training block? 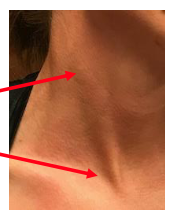 Case-in-point, while I was experimenting with VBT protocols for some of my upper body pushing movements, I found that my bench press felt a little more explosive through the sticking point. I hadn’t done anything else to directly target that adaptation, and so it’s conceivable that there was some impact from the explosive, lighter weight work I was doing at the time. As clients and athletes finished their own cycles, I started applying the lens of 70/20/10 to the work they were being given. I love some of the work coming out of the PRI world, but I'm not ready to abandon the foundation of a program in favor of these drills. Adding one or two movements a week? That felt about right, and forced me to choose the best drill for the athlete. Similarly, PAP has some good research behind it, and I have some athletes with goals that I think can be helped by its inclusion, but I'm not ready to pull too much volume away from their main lifts. Could I give 20% of a session over to it? Absolutely, and again, I'm forced to prioritize the application of a technique. Limiting yourself to the 70/20/10 framework offers a self-editing process of sorts, forcing the coach to whittle away at their programming until it's lean and mean. Instead of including five or six lower body patterns in a given workout, maybe I'm limited to four. Inherently I'll choose the four that are most effective. The basics will likely become even more basic as you search out the movements that give you and your athletes the biggest payout. For those of you who enjoy your highlighters, you'll love this part: grab a program you've written (hard-copy) and mark that sucker up. Highlight your basics, the 70% built around things you know will drive the right adaptation. Find your next tier of movements, the ones you think help the athlete, and highlight those as well. Finally, highlight the movements you've included based on some good solid guesswork as to how they may help. Step back and look at what you've got. How much time is being devoted to each avenue of attack? How many sets and reps, how much mental energy? If something seems out of line, tweak it a bit, and as you continue to move forward, take some notes and keep track of what you find. After all, there's no substitute for lessons learned through experience. Jesse McMeekin has been toiling away in a weight room for more than 20 years. A former competitive lacrosse and football player, as well as drug-free bodybuilder, Jesse currently works with world-class athletes, paramilitary members, weekend warriors, desk-bound CEOs, and a variety of other clientele and athletes. Jesse holds multiple certifications including the CSCS, USAW L1 SPC, Pn1, and FMSC. Wearing a number of hats, Jesse runs his own website (www.revolutionstrengthcoach.com), trains clients privately and through Equinox, and is an Equinox EFTI Master Instructor. He currently lives in Westchester County with his beautiful wife and their dog. The popularity of pre-workout supplements has seen a significant boom over the past 5-8 years, and I'd be lying to your face if I said I've never taken them before. While it's easy to take an "ultimatumist" view towards pre-workouts (DON'T EVER DO IT), that'd be inaccurate because like all things it lies somewhere on a bell curve. In other words, you always have to consider context before saying something is good or bad. Anyways...this isn't going to be a dissertation on pre-workout supplements, but rather a collection of random thoughts concerning their usage. So back in college when my biggest concerns in life were playing baseball, getting jacked and hanging out with my friends, I became somewhat of a pre-workout connoisseur. And by connoisseur I mean I just took a lot of different kinds of pre-workouts because I enjoyed that "jacked up" feeling it gave you. Now I was never "hooked" on it like some people I knew who would wake up in the morning and take NO Explode just because they needed it, but I did become dependent on it for workouts. In essence, I felt like I couldn't workout without it because I had lost control over my own dimmer switch of "aggression," and here's what I mean by that. Think of your aggression output like a dimmer switch (and by aggression output I'm talking about sympathetic vs. parasympathetic tone). At some points, like when you're working out, you may need to ramp that switch up (boost sympathetic tone), and at others, like when you're chilling on the couch at night before bed, you need to ramp that switch down (boost parasympathetic tone). The problem many people run into with pre-workouts is that they lose control of this dimmer switch. They become dependent upon the pre-workout to ramp the dimmer switch up (partly because it's damn near impossible to match the feeling you get from a pre-workout naturally) , and lose the ability to do it themselves. Ultimately, this isn't a road you want to go down, and if you're one of those people who can't self motivate without an artificial kick, then I'd recommend doing what I did and throw them all away. *I'm not saying I don't ever use pre-workouts anymore because there can be a time and place for them when used correctly. Random Bro: "Dude...I was so exhausted this morning when I woke up. I mean my body just felt like crap. It was probably because I haven't gotten much sleep over the past several nights, ate like crap, and had a little bit too much to drink, but that's okay. I woke up, CRUSHED my pre-workout, headed to the gym, and still got a good lift in." Me: Banging my head against a wall incessantly. Now I'm not knocking the effort. I think it's great that you still found time to make it into the gym, but let's just analyze what in the world you're doing: ignoring every important cue your body is trying to send you. This, in case you can't tell from my tone, is really dumb. It might work a few times, but eventually you're going to run yourself into the ground. Takeaway: listen to your body. Don't tell it to f*ck off. Now there is a time and place when you can utilize pre-workouts, and that's strictly for your most intense sessions. Please know that you should check with your doctor before making any decisions concerning supplements. Especially pre-workout supplements. Assuming you've been lifting for a while, you should know what these sessions look like and when they're taking place. If you don't have ability right now to cipher out your different types of sessions, then I'd highly recommend getting a coach who can help get you going in the right direction. While there are 100's of different pre-workouts on the market, I've honestly become a fan of just having a cup of coffee prior to lifting when it's appropriate. The caffeine from the coffee does it's job of ramping up the central nervous system, and I sleep a little better at night knowing I didn't just ingest what might be cancer juice. Granted, cancer juice is an extreme statement. I'm merely referring to the fact that you have NO IDEA what's actually in the pre-workout you're taking, and considering how dramatic of an effect it has on your system, you need to respect that. *If I'm looking for a pick me up that takes things to another level, however, I tend to go with Pre-Jym because it's the best product I've taken to date. Please know I'm not endorsing this product, and that you need to check with your doctor before taking it. Let's just go ahead and end with this thought: if you're taking a pre-workout you are consciously making a decision to choose performance over health, and THAT'S TOTALLY FINE. People have to respect that performance and health are vastly different things, and that individuals who have serious performance related goals will have to make decisions that play on this trade off.